A summer writing workshop is the dreamy creative home for every aspiring writer. Lord knows I’ve been to many of them. I’ll go to many more. But something has changed in my writing life. Now I teach them too. 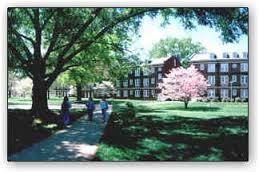 For the first time this year, I’ll be teaching at Meredith College’s summer writing workshops, June 23 – 27, 9-3, a kind of day camp for women writers. I’ve just visited the campus for the first time, and it’s so lovely it’s like living in a Mid-summer Night’s Dream of a women’s college, with rolling lawns, riotous gardens, and big trees. The day I went was the day before graduation and the young seniors were floating around campus dressed in dreamy white dresses – a Meredith tradition. You don’t have to wear a white dress to come to my workshop, though I remember one summer writing workshop with a slim dashing poet teacher who wore a black eye-patch like a pirate. By the end of the workshop, all the women attending were wearing white flowy dresses like pirate’s wenches. For more information about next year’s Meredith College summer workshops, contact Ashley Hogan at hogana@meredith.edu.